We know what causes firearms accidents here in the US. In addition to not storing our firearms properly and keeping them out of the hands of unauthorized individuals, we aren’t handling our firearms in accordance with the four rules of gun safety. The problem is we are having a hard time enticing individuals to get training and safes (especially good ones that allow quick access) are very expensive. To address both of these issues, I would like to introduce the “Safety for a Safe” campaign. It’s very simple. 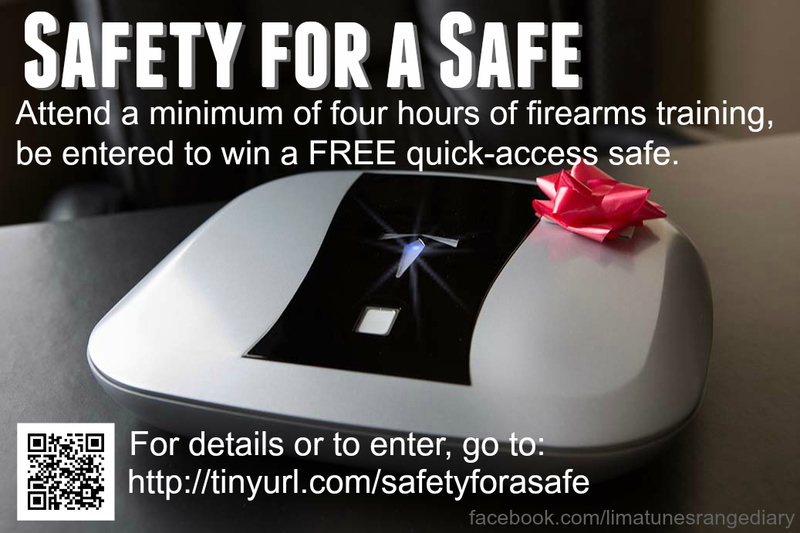 In exchange for taking a firearms safety course you are entered into a drawing for a free quick-access safe provided by the manufacturers of the gun box. They have generously donated one of their RFID + Bio safes to be given away in a random drawing. This safe is worth over $300. Anyone who can provide proof of training between the dates of March 15, 2015 and May 31, 2015 can be entered to win! All you have to do is fill out this google form with your information and the information of the class you attended. 2) To provide the equipment to store their firearms safely. Please pass this opportunity along to anyone and everyone! Take your training and enter to win!